In an effort to lure folks away from London's 'Boris Bikes', Brompton has announced you can now borrow one of its fancy folding two wheelers at more locations across the capital. But it's not just Londoners who can use the service as Brompton is also opening up two more docks in Birmingham, plus further ones in Solihull, Bristol and - yes! - Hassocks. This will add to those already in use, in places like Manchester, Southampton and, obviously, Stoke-on-Trent. 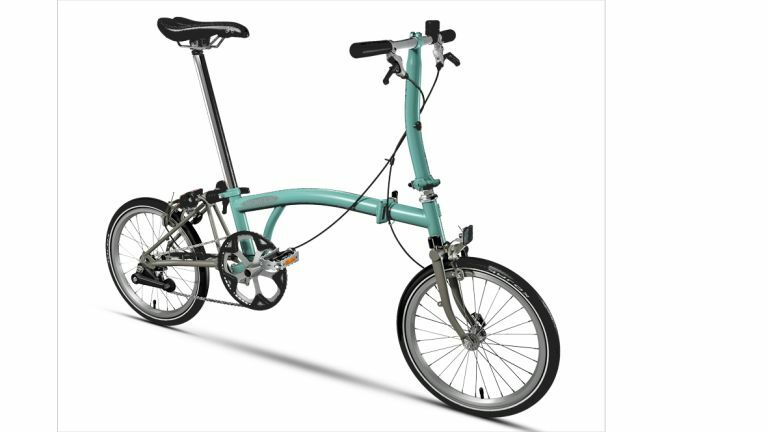 Aside from having docking stations throughout the country, Brompton Bike Hire has impressed us with its selection of rental options. These range from short term day loans to longer ones, so it's good for not only getting around but also seeing whether you'd actually use a foldable bike without laying down some serious cash first. The docks are accessible 24/7, with daily rentals starting from £2.50 a day. As that's not much more than the price of single bus ticket in most parts of the country, we'd say that's very solid value. There's been a boom recently in similar services, a 'rental revolution', if you will. While the Boris Bikes, which recently turned red thanks to a new partnership with Santander, are the most common around London, there are other options if you want something with a couple more wheels. DriveNow, a joint venture between BMW and Sixt SE, operates in eight cities, boasts a garage of 240 cars and gives you control over the vehicle through an Apple Watch. go!Drive, another similar service, charges by the minute, but ditches the need to pay any pesky fees, congestion or insurance charges.